Posted By Nathan On April 21st 2015. Under Blog Tags: c level resume . A C level resume is quite different from “normal” resumes such as branding statement resume or resume for career change. The nearest related type resume is a senior executive resume. These resumes are designed to be highly competitive and are also required to deliver a very strong range of values. The core issue for any C level resume is the value of the information provided. Bear in mind that a C level resume is competing against top professionals. This means that resume must deliver excellent business values, performance indicators, and clearly define a very broad range of managerial and business skills. A C level resume is not a “10-second glance” resume. A C level resume is big business and relates to a very large salary package. The name of the game for these resumes is information quality and value – Absolutely nothing else is even slightly relevant. A C level resume is basically a highly evolved executive resume. These resumes are extremely strong on summarizing and synopsizing career experience which may involve multiple senior managerial roles. Applicants are highly selective about the information used, based on direct relevance and value to the prospective employer. A C level resume is by definition targeted, specifically addressing the needs and requirements of a senior position. This means that information quality is required to be extremely high, and very thoroughly edited to provide maximum advantages to the applicant. Best practice resume writing at C level is to provide performance indicators and value indicators using infographics, or other devices. These devices assist resume composition by saving space and organizing information into easily navigable formats. Typically, a C level resume will include a significant range of related industry experience. In most cases, senior managers at this level are selected from a relatively small range of top industry professionals. They need to provide diverse information is based directly on the responsibilities of the position. When drafting a C level resume, best practice is to systematically write the resume from scratch. C level resumes must be tailored to position requirements. A generic resume simply isn’t good enough. Decide on your preferred resume format – Typically, a C level resume will be either a functional resume or a combination resume, which is a basic functional resume, including a chronological resume which develops and expands applicants’ skills and achievements. Each section of the resume is written to relate to position requirements – This even includes the summary statement at the top of the resume. A C level job candidate may wish to expound a range of specific skills in the personal statement as a form of introduction. Professional credentials are extremely important. Your qualifications, industry awards, and other related information need to be given a conspicuous presence on your resume. Even if you are well-known in your profession, reminding people of your skills and kudos is always a good idea. Keywords do matter, to a point, even on a C level resume. The most important keywords are the high value roles and skills related to the position. Drafting a resume to include these roles, including in headings, wherever possible. Strengths and skills need to be developed in each aspect of your resume. Pay close attention to areas where you have a direct strategic advantage over your competitors. High achievements and major performance indicators, particularly headline-making achievements and newsworthy business, are always excellent content in any C level resume. Innovation, change management, and “industry firsts” are also very strong content materials. You will need to be mindful of the amount of information provided, however, because space management can be a significant problem. Stick to a basic synopsis of your role(s) in these areas. Standout, unique information is also critically important. You need to differentiate yourself from the competitors, and again, create advantages for yourself in these areas. Drafting the resume is only the start of the process. Your resume isn’t quite written yet. You do need to carry out a quality control process after drafting your initial resume. The usual issue with a first draft is that information is left out, or not adequately developed. Be patient about this process. Go through your resume and simply ensure that information being provided is of an appropriate standard. In this case, it’s just as important whether or not you are happy with the information as whether the employer is happy with it. Another issue that you will need to consider is whether phraseology is appropriate. Some expressions may or may not be effective. Some can actually be misleading. Take the time to go through your information and make sure that there are no possible misinterpretations to the information you’ve provided. The other issue that you need to consider is presentation quality. You do have a lot of options here. 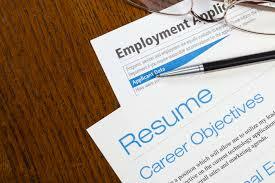 You can use the latest resume formats to dramatically improve resume presentation, and also help you manage space. This is critically important, because the truth is that highly experienced senior people tend to have more information to work with, and space management can be a serious issue. This range of presentation issues is potentially more a problem than it may seem. Presentation of resume materials is as important as the content in some respects. A lengthy resume may be understandable for highly experienced person, but it’s not efficient. Best practice is to maintain a streamlined resume, keeping details to a minimum, but ensuring extremely clear delivery of important facts and information. In order for your C-level executive CV to be effective, it needs a strong branding allowing you to distinguish yourself among other applicants. One of the best methods to ensure the success of your C-level resume is to know exactly what needs to be highlighted enabling hiring managers to see your expertise in the context of community, society and company. Remember that your potential employers must be able to see your potential contribution towards the development of the company in your C level executive making you a valuable asset. C level resumes are a great opportunity for you to demonstrate your level of competency and experience making you a great addition to the company. Many are struggling with writing their C level executive resume which is why getting professional C-level resume help is not only an option but a necessity. You will be working with highly skilled writers with broad knowledge and experience in crafting customized C level executive for various needs. Avail the best resume writing help online to ensure the success of your job application by submitting top quality C-level executive. A C level resume really is a very difficult document to compose. Patience is required. Simply consider the resume as what it is – A major business asset. You know how to manage business assets. It is important to have a customize CIO resume. In fact, there are many ways on how to create excellent CIO resume and making it will depend on you on how will you going to create it whether you will use bullet points or not. In addition, there are many aspects in making CIO resume such as how much you want to emphasize about your credentials in technology. Regardless, is the job you’re targeting is a business leader, an innovator or a technologist? What role should you want to showcase in the company you are applying, is it about a full business partner, a person who ensures business agility or support the business of the employer business? You just need to establish a leadership brand for yourself. Make sure you have a good statement in the top of your CIO resume. Tie all your accomplishments about technology and how it will help the employer in their business. Emphasize the ability you have as a technology expert such as you are good in thinking and planning about technology. Do not forget to have a summary of your technical skills. Make sure you meet all criteria for you to stand out among the competitive applicants. You should mention about certifications, global experience, multiple languages and big awards you have. Include impressive activities, volunteer works and community contributions you have done in the past. Moreover, if making your resume is a daunting process, it is now the time to get certified executive resume writers. As executive writers, they know how to work with your resume and how they can provide you powerful resume. They ensure you meet all the requirements. Need help with your C level resume? Say goodbye to all of your worries by simply asking for a piece of professional help! « Are You a New Tolstoy or How to Write a Short Resume?